Psychology researchers often require participants to be in a certain emotional state. The Focus on Emotions group does research into effective anger management and needed a way to induce anger in children in a reliable and ethical manner. Motivated by the emotional effects Virtual Reality experiences, they asked Media Technology students to create a project. Project Anger Induction is a Virtual Reality experience that aims to induce anger in children. 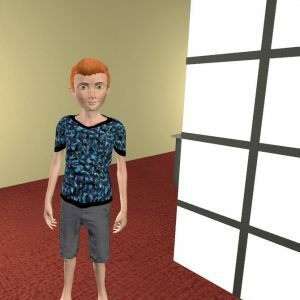 The Gear VR / Google Cardboard app allows users to play an enjoyable game with Jasper, our digital avatar. While he might seem like a nice, cooperative boy at first, Jasper’s true nature – a rather annoying one – shows itself over time. Through the use of Jasper, we hope to see to what extent Virtual Reality can be used to create a sense of social anger. This project was created by the Media Technology students Nesse van der Meer and Pieter Rohrbach in cooperation with Marieke Bos and Carolien Rieffe from the research group Focus on Emotions. Robin de Lange (VR Learning Lab) was the supervisor of the project. © 2019 Robin de Lange. Built using WordPress and Mesmerize Theme.